Alarm communication and home automation. A single unit provides alarm signaling as well as simple home automation in one unit. Full extended data reporting. Connects to the panel via the telephone interface and reports full Contact ID. Dual SIM-redundancy on MTN and Vodacom. The system roams from one service provider to another in the event of a GSM network outage or any other technical difficulty. Chip SIMs are available for certain services. Remote home automation. Two onboard relays allow a gate to be opened, a light to be switched on etc. Remote programming and firmware updates. 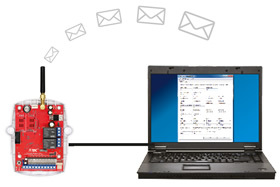 Program transmitter units remotely using a software application. Update firmware remotely. Download transmitter event logs. Download unit event logs without having to go to the site. The unit buffers up to 100 events. Fixed monthly cost. All activations are sent via GPRS, saving the typical call costs incurred with telephone monitoring. SAIDSA dual communication specifications. Ideal when installed in conjunction with a RDC VHF transmitter to comply with SAIDSA specifications. Reduce VHF radio congestion. 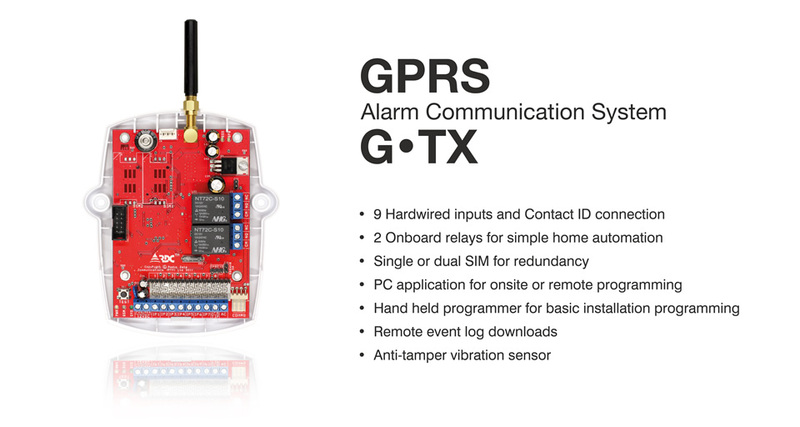 The GPRS transmitter is ideal for sending open up / lock up signals which can congest conventional radio networks. Simple home automation. 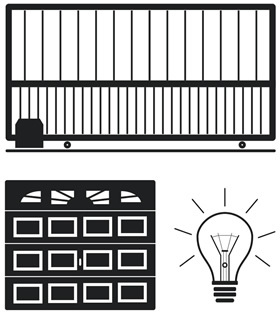 Control a gate or garage door, or switch lights on and off remotely. Program the G-TX from the PC application either with a physical connection prior to installation or remotely after installation. A cost effective hand-held programmer can be used to program basic functions during installation. This eliminates the need to have a laptop on-site.